Commissioner Murguia running for re-election in 3rd District – Welcome to Wyandotte Daily! Commissioner Ann Brandau Murguia has filed for re-election for the 3rd District Commissioner position for the Unified Government of KCK-Wyandotte County. She was last re-elected in 2015. Commissioner Murguia was able to secure over 250 3rd District registered voter’s signatures in support of her re-election. She said that a group of 20 campaign volunteers went door to door to get the signatures. Besides the signatures she has been receiving campaign contributions as well. “I am humbled by the support of the voters in the 3rd District who signed my re-election filing petition. I am very grateful for their help and campaign contributions,” Murguia said. Commissioner Murguia said her re-election campaign is focused on continuing the surge of economic development that has taken place over her term in office, the emphasis of strong code enforcement on commercial and residential property owners, and the importance of supporting the need for adequate and efficient public safety services — fire and police departments. She said she is proud of the economic development success and neighborhood revitalization the 3rd District has experienced since she has been in office. Commissioner Murguia mentioned the Rainbow Boulevard corridor in Rosedale with hundreds of millions of dollars in redevelopment, including retail, commercial, residential and partnership with the University of Kansas Hospital and the University of Kansas Medical Center. Commissioner Murguia highlighted the street and curb improvements that have taken place in the 3rd District. She said again a combination of the Unified Government, local businesses and community involvement were the main reasons for the success of that program. She said that the community appreciates the repairing of the streets and that it has revived neighborhood pride in the community. Public safety is also one of Commissioner Murguia’s main priorities. She said that the 3rd District residents have indicated that is one of their most important requests from the Unified Government. “Timely and efficient police and fire protection are always mentioned at all the neighborhood meetings I attend. I am committed to ensuring the availability and the effectiveness of public safety services to the 3rd District,” she said. She said she is very grateful and proud of the new public safety facility next to the Wal-Mart Neighborhood Market in Argentine that is providing space for the police South Patrol division. Commissioner Murguia said she is committed to providing quick and timely constituent service. She said it is important for the 3rd District residents to know they have a voice in their local government. “I first ran so that our community could have a voice in how our Unified Government governed and provided services. I pledge to continue to work hard and try my best for everyone in the 3rd District,” she said. Commissioner Murguia is the former executive director of the Argentine Neighborhood Development Association. She was also previously employed as the chief operations officer at Community Housing of Wyandotte County. She has a Bachelor of Science degree from Ottawa University and a Master of Business Administration from Baker University. 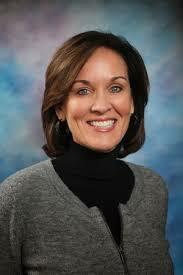 She is presently a member of the Kansas Board of Regents. She is a former recipient of the Humanitarian of the Year award from the Hispanic Chamber of Commerce for her work with the Latino-Hispanic community. Commissioner Murguia is a graduate of the Leadership Kansas Program and also served on the Wyandotte County Parks Foundation Board, co-chairs the Frontiers Project at KU Medical Center, former member of the Argentine Activities Association and is a member of Our Lady of Unity-St. John the Evangelist church. She also attends, and supports, the local neighborhood associations. Commissioner Murguia has been a resident of the Argentine neighborhood in Kansas City, Kansas, since 1997. She has three children, Wyatt, Thomas and Isabella.